We are delighted to offer early evening referral evenings for colleagues throughout the year and invite you to come along, join us for some light refreshments and meet the team. On each occasion, there will be a short interactive presentation as a clinical update to the aetiology, diagnosis and management of tooth wear offering one hour of verifiable CPD. Please complete the Referral Evenings form if you would like to sign up or request further details. 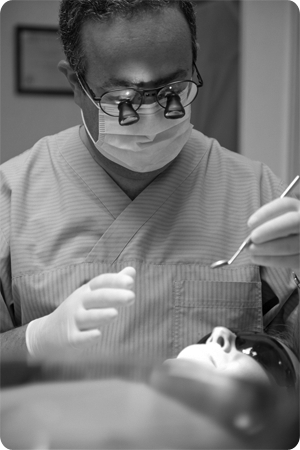 Help is available at The London Tooth Wear Centre® no matter how advanced the problem. However, emphasis is put on early diagnosis, prevention and minimally invasive treatment. Please contact us if you are interested in referring patients for consultation and treatment planning advice only or for comprehensive management of their tooth wear. – so that you can stay one step ahead! 1. Evidence indicates that patients who have had bariatric surgery may be at an increased risk of tooth wear. This is due to the acid reflux that can present, as well as regular liquidated foods of high nutritional value, such as fruit smoothies, that may be recommended post surgery. 2. The government’s five a day campaign is based on advice from the World Health Organisation, which recommends eating a minimum of 400g of fruit and vegetables a day to lower the risk of serious health problems, such as heart disease, stroke, diabetes (type II) and obesity. While this is imperative, selecting fruit more often than vegetables and especially as a snack can lead to tooth wear. In addition, faster lifestyles have incentivised the development of smoothies, thickies and ‘health’ drinks, which often include more than one of your five a day in an on-the-go formulation. 3. Anorexia Athletica is different from Anorexia Nervosa or Bulimia Nervosa. It is characterised by excessive, obsessive exercise and is therefore most commonly found in pre-professional and elite athletes where a small, lean body is considered advantageous. It can however, also present in the general population. People suffering from Anorexia Athletica may engage in both excessive workouts as well as calorie restriction. 4. Intrinsic causative factors, such as hiatus hernia which causes acid reflux are important to consider when assessing patients for tooth wear as alone they can cause tooth wear, but in addition to extrinsic factors, the rate of wear may be exacerbated. 5. Regular use of recreational drugs can result in a very specific pattern of parafunctional activity which may cause wear involving just a few teeth. It is often difficult to replicate the apparent tooth contacts which should draw attention to this as a possible cause. As part of this lifestyle, alcohol may also be consumed and a lack of home care can feature. 6. Bleachorexia is an addiction to whitening the teeth. First described by the American Dental Association, the condition features dysmorphia; an altered perception of reality, leading to an obsessive use of whitening products. Facilitating this is unrestricted access to dental bleach from non-dental professionals, both online and at unlicensed locations, such as beauty salons. There is a growing industry in “at home” whitening products, such as targeted toothpastes, many of which achieve their result through abrasion of the tooth surface. In addition, some foods have been reported to have a whitening effect, for example, strawberries. However, and similarly to dental bleach, if applied to the tooth surface very frequently, they can cause wear. 7. Increasingly popular due to the associated health benefits is a diet rich in foods and drinks that have an alkaline effect on the body. However, they can also have erosive effects in the mouth. Alkalising foodstuffs include fruits such as lemon, grapefruit and kiwi and vegetables such as beetroot, broccoli and spinach. When masticated, however, they can be acidic and one such example is spinach which releases the potentially erosive oxalic acid. 8. Remember that even carbonated water can cause enamel loss. The addition of carbon dioxide, which forms carbonic acid, lowers the pH of the water to around 3. Interestingly though, research shows that sparkling water may be safer than fruit juices as well as some still and sparkling soft drinks. 9. Extended periods of alcohol consumption, such as that seen in alcoholics can cause significant wear – often seen in association with regurgitation also. However, even low levels of alcohol can be damaging. This is particularly seen in those whose alcohol intake is frequent and spread over longer periods as part of a sociable lifestyle, especially without buffering intervals. As a result, teeth are vulnerable to erosion. 10. In broad terms, ablation describes the effects of emerging technologies – some of which may only little documentary evidence. However, it is referred to on Wikipedia as ‘the removal of material from the surface of an object by vaporisation, chipping, or other erosive processes’. In dental terms, ablation has been used to describe self-harm types of tooth wear, such as may be seen in patients with tongue piercings causing abrasion, most commonly of premolars. Other examples include online ‘home bleaching’ solutions which can bring together erosive and abrasive substances, such as strawberries or lemons and sand or salt, to form a damaging paste or recreational drug misuse causing parafunctional attrition.